"Skills and learning relevant for global industry"
Stuart studied for his MSc in Cyber Security and Management at WMG from 2011 to 2012. We recently caught up with him to find out more about his career journey. Since graduating, Stuart has held several positions within the cyber sector; ranging from Solutions Architect to Network Consulting Engineer roles. Currently, he works as a Solutions Engineer for Akamai Technologies ; a company specialising in cloud-based solutions. Stuart told us that his time at WMG really opened up doors to new job opportunities. He has worked in roles around the world; from Berlin to the Middle East. He also emphasised the importance of his time at WMG and, how working with students from around the world on the course, really developed his global outlook and his confidence to take up work opportunities overseas. Stuart was also keen to highlight the soft skills that he learned at WMG, and how these have been invaluable to his career journey to date. "No-one tells you how important presentation skills really are in the world of work. 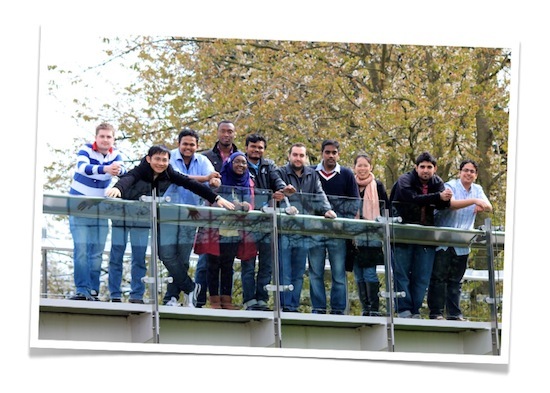 I'm really grateful that WMG incorporated these skills within the MSc programme." When we initially talked to Stuart after graduation, we asked him to describe his time at Warwick and how what he learned helped him to progress his career. Stuart joined us soon after gaining a first class BSc Hons in Computer Networks at the University of Derby. We asked him why he decided to study for an MSc – and why specifically in cyber security? “While I was studying at Derby, I did a year’s work placement with a telecoms and IT solutions provider. Through this, I gained some exposure to compliance and security which really sparked my interest in the area. To build my specific knowledge and skills though, it was clear that I would need to continue my studies. An MSc was the natural route to take. The course itself was very different to Stuart’s previous academic experience, with one-week’s intensive study of each module, followed by six weeks to complete assignments. “It was extremely challenging at first,” he commented. “I actually felt quite exhausted after completing my first week of 9am-6pm days. I got used to it pretty quickly though and after the first couple of modules, I actually realised that this is a much better way to study. Although Stuart came to us with some knowledge of many of the technical aspects of the programme, the business and management subjects were completely new to him. “This is where I learned the most,” he explained. “Particularly modules like Leadership and Organisations, People & Performance: these were fascinating and made me think of business and management in a completely new way. 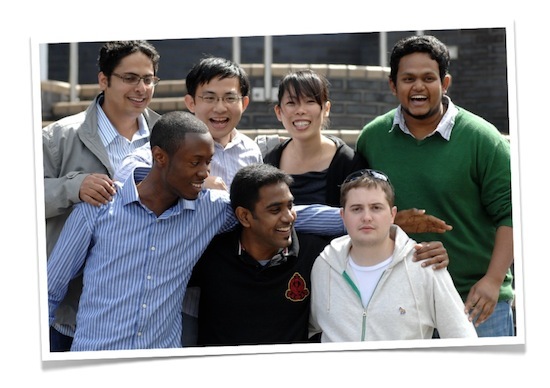 Almost immediately after graduating with Distinction in September 2012, Stuart joined Cisco Systems in London as a Network Consulting Engineer - a role he had applied for while at Warwick. “I had always been interested in Cisco and the work they do,” he said. “So this was a great opportunity. I have to say that what I learned played a pivotal role in me getting the job. The course helped me to develop in many areas - presentation and interpersonal skills for example: how to speak with customers and work in global teams. Those abilities really came out during my interviews and assessment centre.